This is a downloadable mp3 podcast with Tricia Exman. 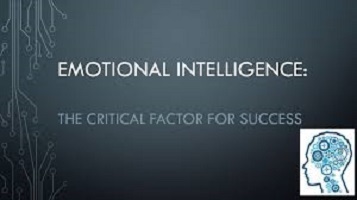 In this guide we will continue the journey of acquiring an Emotional Intelligence skillset for your own personal effectiveness and success. Welcome to Part 3. Increasing in Emotional Intelligence is a process that begins with Self-Awareness, so it's time to catch yourself being you! As we’ve already talked about, self-awareness is the foundation of personal effectiveness. Self-Awareness is the ability to see ourselves with our own eyes and to understand the ways we impact the world we live in, and the competencies can be categorized into 4 basic capabilities: Self-Assessment, Emotional Self-Awareness, Self-Confidence, and Optimism. These are the broad, overarching elements of your ability to be self-aware.